You'll be £7.00 closer to your next £10.00 credit when you purchase In All Things First: No. 1 Squadron at War 1939-45. What's this? 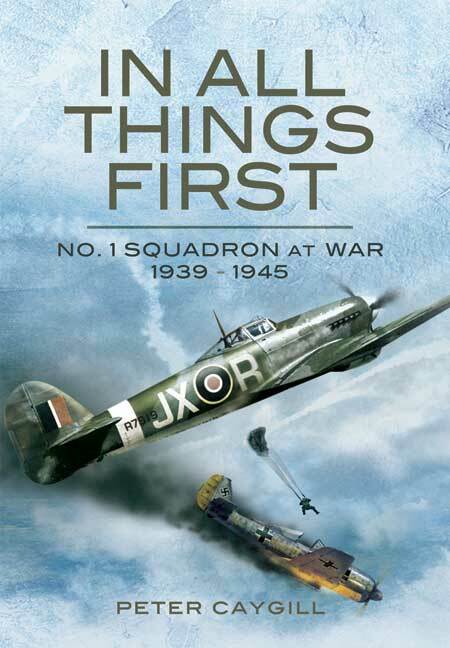 In All Thing's First looks in detail at 1 Squadron during the Second World War with particular emphasis on the pilots and its operational activities. 1 Squadron was active from a very early stage when it flew to France on 8 September 1939 as part of the Advanced Air Striking Force and played a significant role in the Battle of France. Unlike most other squadrons that fought in France, it also played a major part in the Battle of Britain in 11 Group. There will also be extensive appendices to include aircraft losses, details of selected operations and pilot escape and evasion. Peter Caygill does a competent job of piecing together chronologically the squadron's wartime activity on Hurricane, Spitfire and Typhoon, benefiting from access to combat reports and first-hand accounts. His accounts of Rhubarbs, Ramrods, Circuses and other wartime operations are suitably informative and are illustrated by two 16 page black and white photo inserts with excellent- yes, excellent- reproduction. All you ever wanted to know about RAF Number 1 Squadron. Recommended!